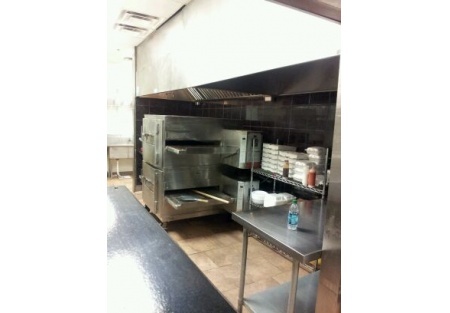 Are you looking for a nearly new pizza restaurant that's about 1,800 Sq. Ft.? Or do you want ot get into the business to learn it and make some money as well? This pizza restaurant hasn't been open too long but the owner it stretched too thin and his loss is your gain! He focuses primarily on take-out and delivery and you could grow the business further by pushing so resources to the dining room area. Get yourself plugged into the community little leagues, soccer, etc. and watch this business continue to grow. The product is wonderful and the owner will train your if you like. Or you can convert it to your own concept and save $100k+ by avoiding starting from scratch. Add a beer and wine license and then you'll see some growth. The lease has about 4 years left plus another 5 year option. There are 56 seats inside and you can add some outside as well. Most of the equipment is near or in great condition. It has a fully hood system if you want to add menu items such as pasta, fryers, etc.